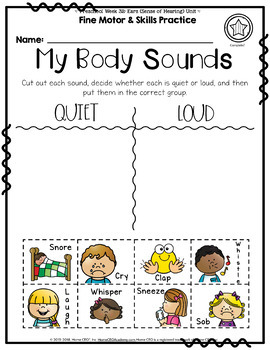 Preschool complete all-inclusive weekly unit using the theme of Ears / Sense of Hearing to teach a variety of early learning skills covering all subject areas for a week. 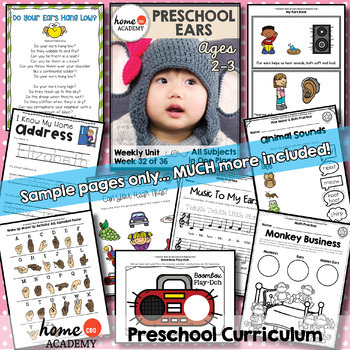 You'll receive over 500+ pages including 90+ pages of preschool Ears and preschool learning fun plus our corresponding classroom organization systems that are easy to implement, educational and loads of fun. This is week 32 of our 46 week Age 2-3 curriculum. 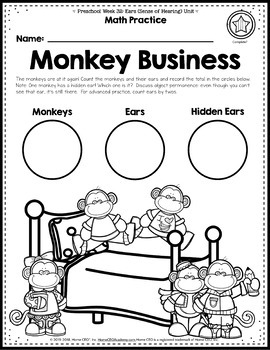 Includes both color and black and white activities. Ready for a complete year program? Get the 46-unit bundle here. 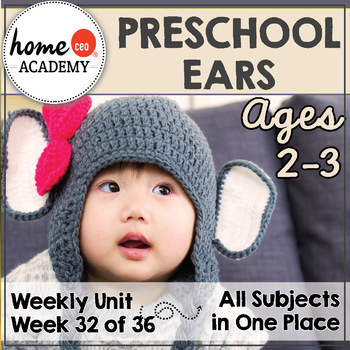 This is a complete week of activities for Age 2-3 using the theme of Ears to teach a variety of early learning skills. The skills follow the weekly progression of our complete year program, but it can be used as a standalone unit as well. If you have questions check out the comments below or email us at maraya@healthyhomeceo.com at any time. Home CEO is a social enterprise! That means ALL profits from our TPT store are distributed to over 20 charitable nonprofit organizations fighting for justice, education and the alleviation of poverty and disease, so thank you for your purchase! Recently, in July 2017, thanks to our customers, a playground we sponsored was built at a primary school in Uganda.Learn more about who we support here. Be sure to follow Home CEO Academy on Facebook for exclusive FREEBIES! To see our homeschool classroom and this curriculum being used in action, see our Instagram here.